The oral cavity is a common area for tumor growth. Fortunately, not all oral tumors are malignant. In dogs there are various kinds of benign tumors that can grow in the mouth. 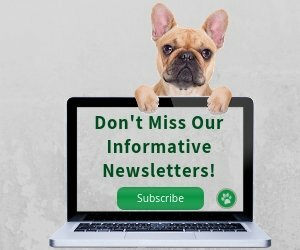 Since we cannot tell whether a growth is benign or cancerous, it is important to consult a vet for immediate examination if you find any unusual growth or lesion in your dog's mouth. 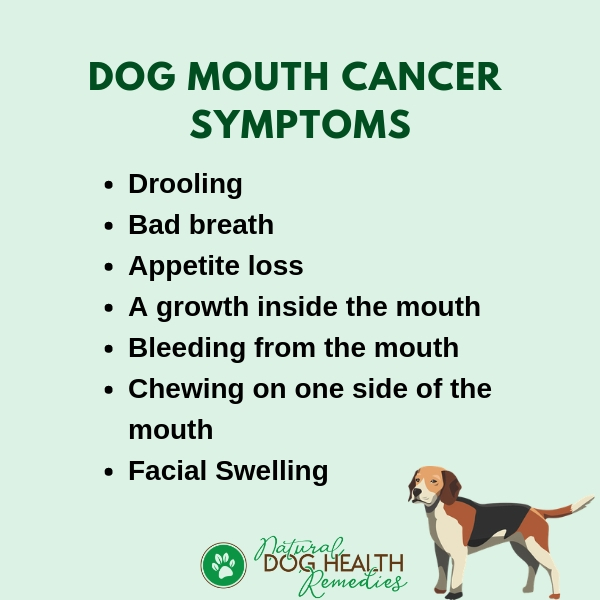 What are the signs and symptoms of mouth cancer in dogs? What causes dog mouth cancer? As mentioned above, not all mouth tumors found inside a dog's oral cavity are cancerous. Some of them can be benign growths. The most common benign tumor in dogs is an epulis, which is a tumor of the periodontal ligament. In addition, other benign growths, such as fibromas, can occur in the mouth. Common characteristics of benign mouth tumors are that these tumors usually have well defined borders. Also, they do not invade the bone or other tissues, nor do they metastasize (spread). Once surgically removed, the dog patient is safe. There are three common mouth tumors in dogs that are cancerous. They are malignant melanomas, squamous cell carcinomas, and fibrosarcomas. Melanomas are probably the most common oral tumors in dogs. Melanomas are locally invasive; they also metastasize early so by the time a diagnosis is made, the cancer has already spread to the regional lymph nodes along the neck and to the lungs. 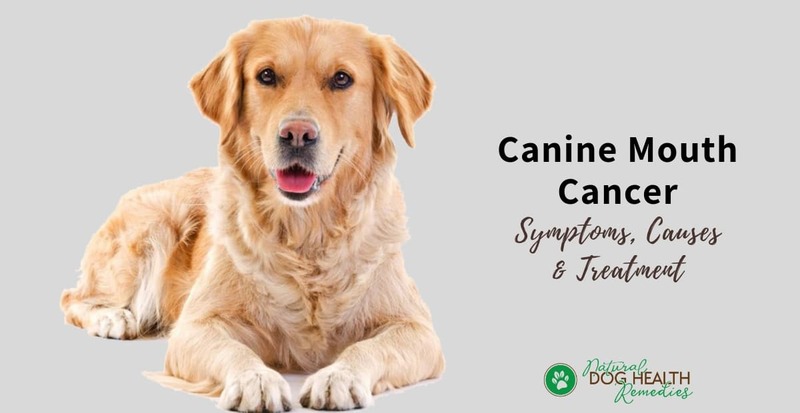 The second most common oral tumors in dogs are squamous cell carcinomas, which are locally aggressive but they only tend to spread when the cancer is at a late stage. Sometimes they do not spread at all. Very commonly, they also invade the underlying bone. Another common oral tumor in dogs is fibrosarcoma. This type of tumor is also locally aggressive but does not tend to spread. Fibrosarcomas usually appear as red growths, which can be fibrous or ulcerated, and are seen more commonly in older, male, large breed dogs (in particular, it appears that German Shepherds are prone to this type of oral tumor). It is not difficult to notice if a dog has a sore mouth - usually the dog will drool excessively due to pain. He may lose his appetite or doesn't want to eat due to pain and/or difficulty in eating. A growth inside the mouth. If you are thinking that some of these signs are very similar to severe dental problems, you are exactly right! That's why if your dog shows the above signs, it is important to take her to a vet for a thorough oral examination immediately. Any tumors found in the mouth should be biopsied. Mouth cancer is the fourth most common cancer in dogs. It tends to affect older dogs. It is not exactly clear as to why dogs can develop mouth cancer, but some veterinarians suspect that dogs may be able to inhale carcinogens (agents that cause cancer) while they are sniffing around. These carcinogens may be deposited in the oral cavity where they affect normal cells which eventually grow into cancerous tumors. As well, there may be a link between dog mouth cancer and some commercial dog foods, especially those that contain chemical preservatives. Depending on the type and the exact location of the tumor, several treatments are available, such as surgery, radiation, chemotherapy, and sometimes cryosurgery (freezing of the tumor). The problem with surgery in malignant melanomas is the size of the piece of tissue that needs to be removed. Because these tumors are invasive, it is often necessary to remove not only the tumor but also at least 2 cm of normal tissue at all margins of the tumor. If the tumor occurs on the hard palate or soft palate, this may be complicated and ineffective. A new vaccine called the Canine Melanoma Vaccine DNA is now available to treat malignant melanoma. The vaccine works by injecting a protein into the body, alerting the immune system to the presence of the melanoma tumor protein. Radiation can be used to help control spreading if clean margins could not be achieved through surgery. Chemotherapy can be used as a follow-up treatment for cancers that have spread far from the primary site. 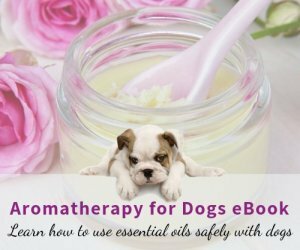 While natural complementary treatment options, such as herbs, homeopathic remedies, and natural supplements, may not be able to completely cure oral cancer, they can nevertheless work towards strengthening a dog's immune system, helping the body fight against cancer. In addition, a home-cooked cancer diet with human grade protein and lots of fresh veggies and berries is recommended. 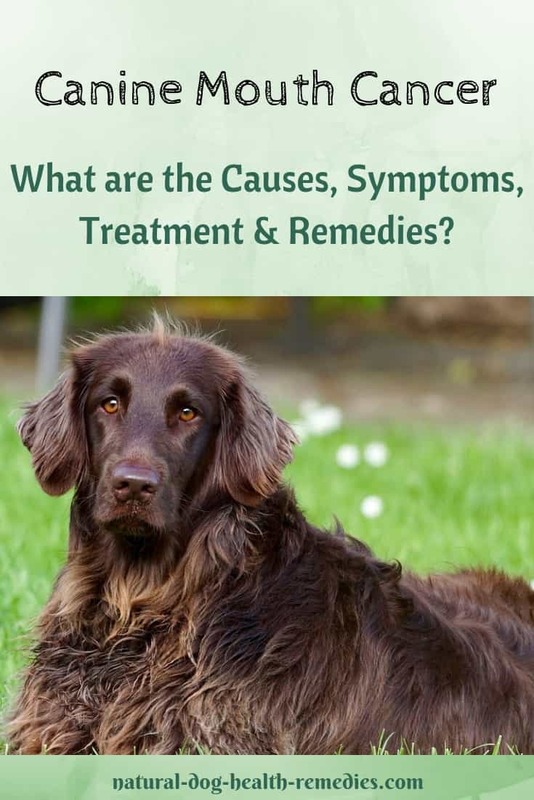 You can find more detailed information on the above by visiting our pages on herbs and supplements for cancer and the importance of a natural cancer diet to help manage and treat canine cancer. It is also important to clean the mouth at least twice a day, using food grade hydrogen peroxide. If there is bleeding, try using "Yunnan Paiyao". It is a Chinese herbal medicine that can effectively stop bleeding. 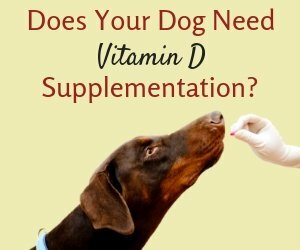 Many dog parents have used this medicine on their dogs with bleeding tumors with great success.